You may notice that our banner above has some new embellishments. With your help, our gallery has won not one, but two “Best of” awards in the past year. We announced our Albuquerque Journal “Reader’s Choice” award last fall. 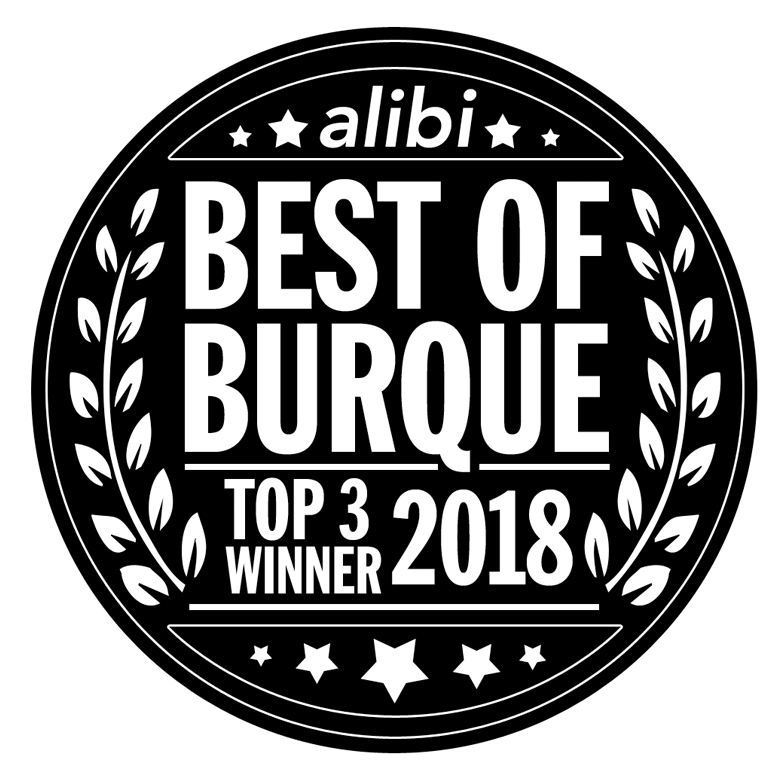 And, in late April, we learned we had placed in the top three galleries in The Alibi’s “Best of Burque”. We absolutely could not do it without your kind and enthusiastic support. Celebrating the work of Cassandra Gordon-Harris & Christa Stephens! WILD! : Celebrating Wildlife & Diversity continues! 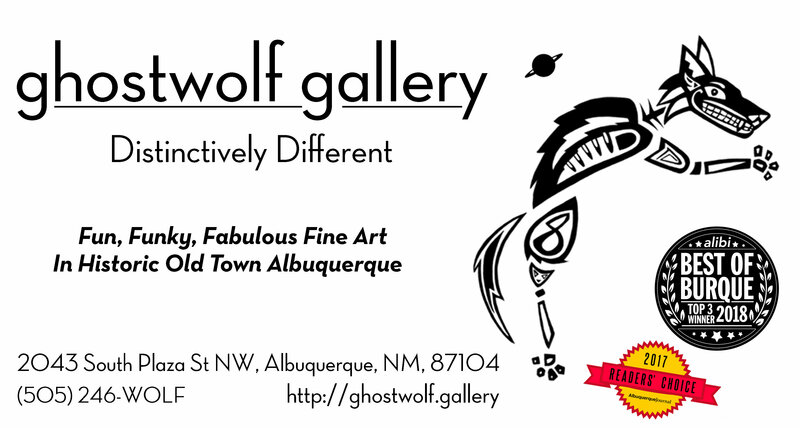 This first Friday we feature the work of two new artists at Ghostwolf! Both women are internationally collected and well worth meeting. Don’t miss this chance! Light refreshments will be served. Cassandra Gordon-Harris’ career spans two decades. 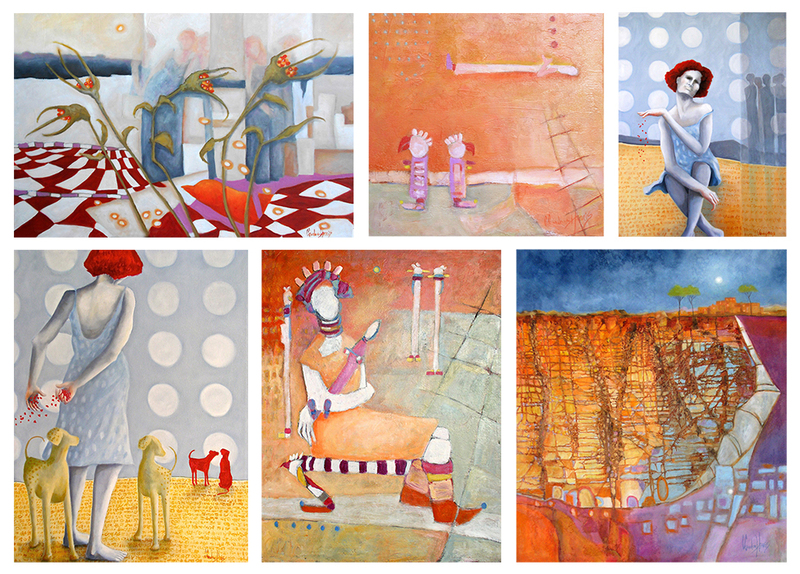 Her figurative and abstract paintings fuse the bold colors of her Spanish heritage with an inner belief in the power of women. 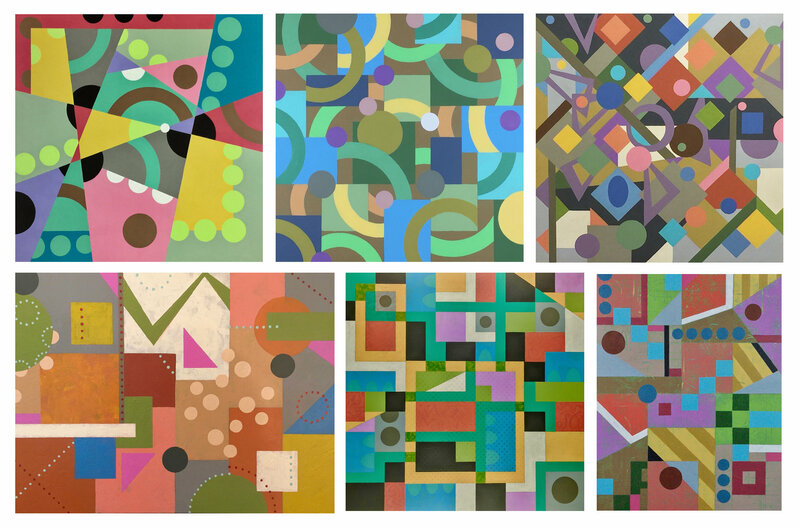 Christa Stephens’ vibrant, playful geometric abstractions present familiar images in unusual sequences with the aim of challenging preconceptions. In addition to the reception for our artists, the WILD! exhibition continues. 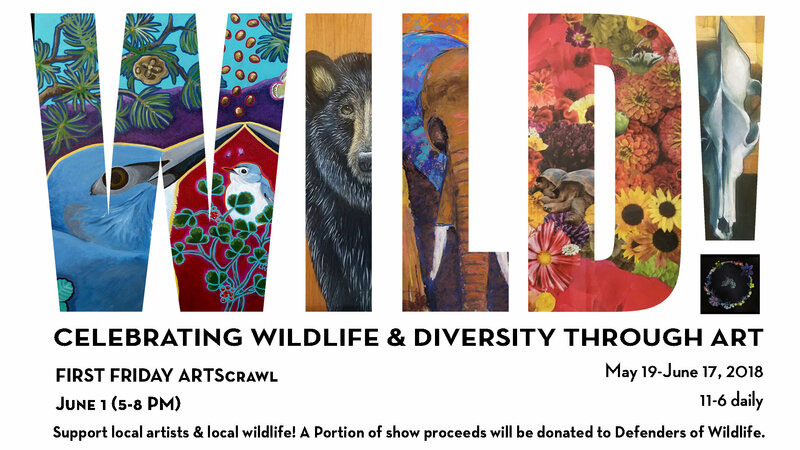 Don’t miss this opportunity to check out this fantastic display, meet the artists, and support Defenders of Wildlife with a purchase of some unique, local artwork! For a full catalog of images, visit our website! Preview of the WILD! 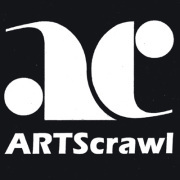 show, going on now through June 17th! 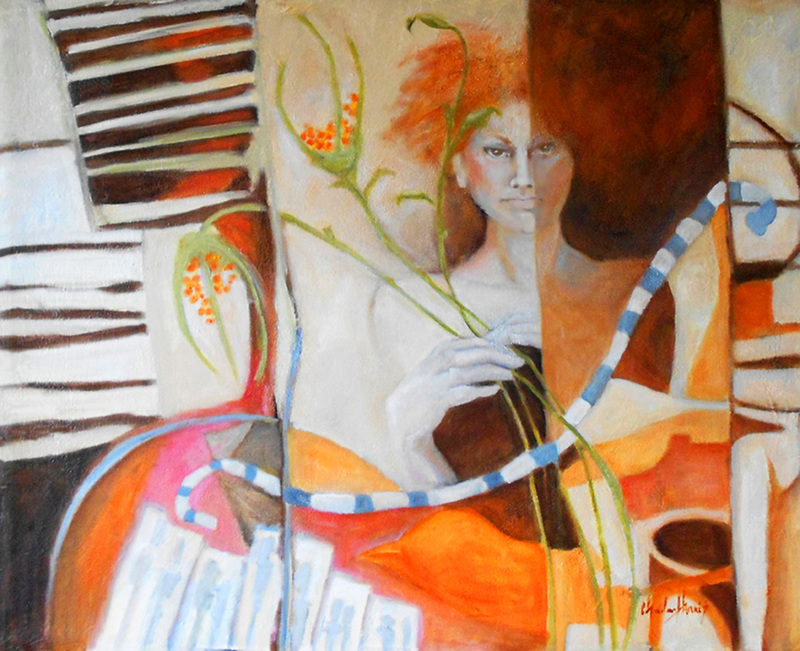 If you find yourself in Santa Fe this June 16 & 17, stop by lovely Cathedral Park at the Cathedral Basilica of St. Francis of Assisi in Santa Fe, one block off of the plaza. 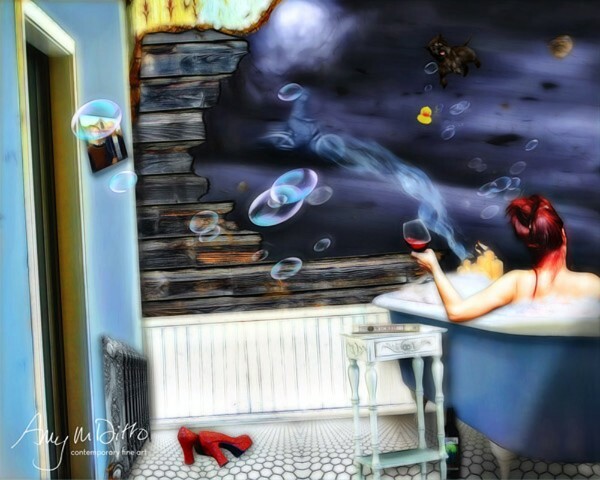 Amy will be there showing her work with the fantastic artists of the Santa Fe Artists’ Market! 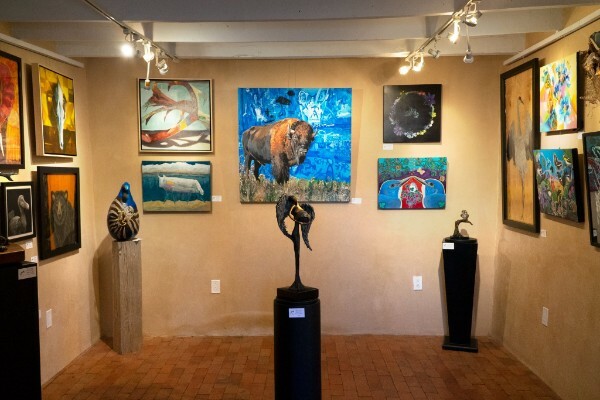 This immensely talented group is in its 9th season and represents Santa Fe’s best in pottery, jewelry, paintings, photography, sculpture, furniture, textiles and more. 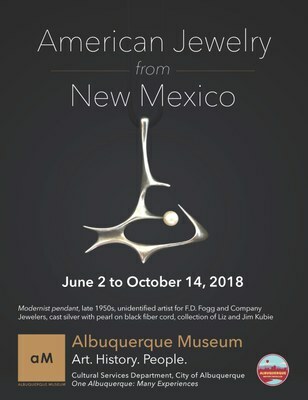 Join Sean Paul Gallegos on June 2nd at the Albuquerque Museum for the opening of “American Jewelry from New Mexico”. In preparation for the exhibit, the museum has acquired a piece of his work for its permanent collection. 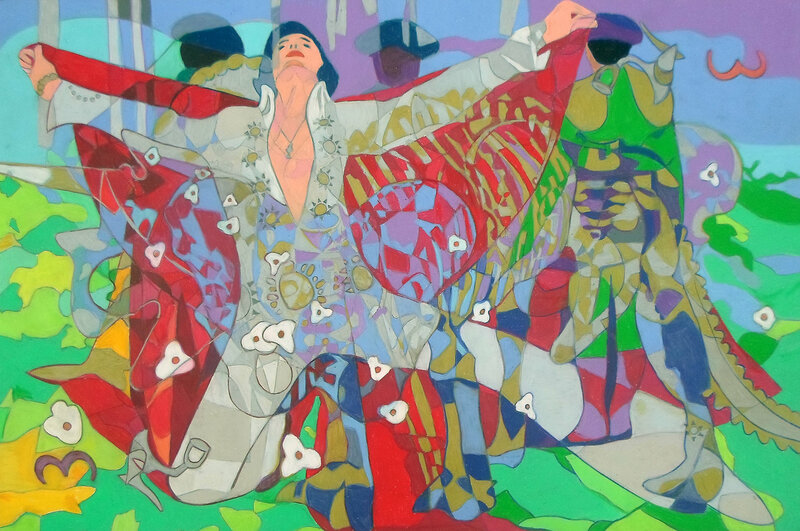 Denise Weaver Ross’ work-on-paper “Elvis and the Three Bones” is on his way to the Attleboro Arts Museum in Attleboro, Massachusetts for “Three—A National Juried Exhibition” on view from June 14–July 13, 2018.